The body of 31-year-old Daniel Dompierre was rescued from a West Quebec quarry Thursday afternoon. The recovery comes one week after Dompierre was trapped and killed after a landslide buried the excavator he was working in. Police continue to investigate the incident along with Quebec's workplace safety watchdog. Quebec’s workplace labour board is reviewing a report submitted by engineers on how to safely recover the body of man trapped inside an excavator. A landslide on Thursday night buried Daniel Dompierre and the machine he was working in. Officials say the walls of the sandpit are still too unstable for recovery operations to proceed. MRC des Collines Police provided the update Tuesday. “We hope to be able to recovery the victim as quickly as possible despite the complicities of the operations,” says André Levesque with MRC des Collines-de-l'Outaouais. They say ‘La Commission des normes, de l'équité, de la santé et de la sécurité du travail(CNESST)’ received the report from engineers. The engineers specialize in avalanches. The CNESST is in position to make recommendations to the report. "We're working on it right now. Our inspectors are there and they're still working, and there's still a lot of work to do." said CNESST spokesperson Alain Trudel. 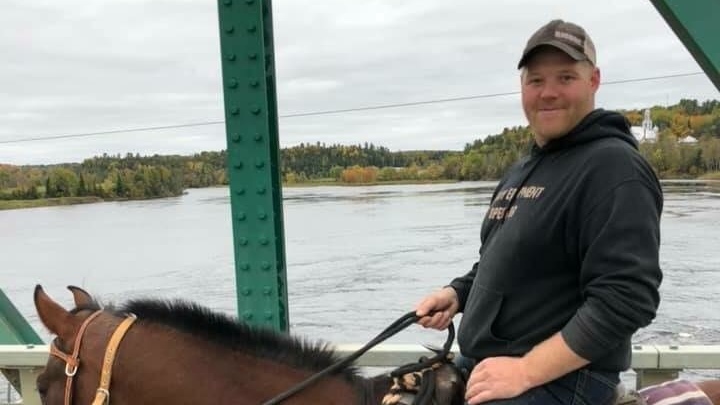 CTV has identified the man as Daniel Dompierre- but police will not formally identify him until they can access his body and confirm with coroners. Partial work has resumed at the quarry- but all commercial work and recovery efforts are still banned. Police say they have spoken to witnesses and their investigation continues. A man’s body has yet to been recovered from a quarry after a landslide in west Quebec. CTV News has confirmed the man is Daniel Dompierre of Bouchette Que. Police have called in specialized engineers to draw up a recovery plan – but as of Monday afternoon the walls of the quarry have been deemed unsafe. The quarry is located in Farellton Quebec- about 50 km outside Ottawa. “We have to be careful to approach the excavator because there is a big risk of a landslide right now,” says André Levesque from MRC des Collines-de-l'Outaouais. The excavator Dompierre was working in Thursday was crushed by at least one landslide; burying him alive in thirty-meters of sand and stones. Police say he is dead but they can’t safely remove him yet. The engineers specialize in avalanche missions. Their plan will need to be approved by the CNESST- Quebec's labour board. Police say it is early in the investigation.